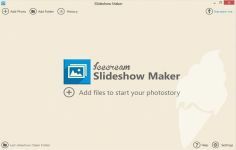 IceCream Slideshow Maker is a simple and handy application that allows you to make video slideshows with your images and videos, all complemented by effects and music in a very easy manner. 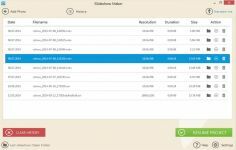 You can upload images, choose transition effects (mosaic, pixelation, fades, offset) while having the control on the display time for each imported item in the slide show and the possibility to check the record with preview. The final result, if you are satisfied with your work, will be a video in MKV format.